As members of society have come to realize, most seniors in high school are more than ready to escape the place they may have called an academic “prison” for the past four years. Through their final days, they ecstatically await their future of universities, community colleges, and working. The students who have planned to attend their dream university come to encounter a rude awakening once they arrive: College is nothing like they expected. Being a college student myself, I am well aware of this fact. As I have continued pursuing my dream of becoming an educator, I have come to realize that I would like to help my future students in any way I can, to aid them in their learning by first teaching them how to learn. The phrase “time management” was always mentioned to me as a useful skill to have in college, but never had I imagined what it really meant. All study and note-taking strategies I had ever known had now become foreign concepts. Movies and television shows seem to only focus on two aspects of college: partying and being rebellious young adults. How often do you actually see a movie based upon the studious college kids spending full days in the library? Or students staying up until 4am trying to cram as much information in their brains as they can before their big exam the next day? If you are like most people, your answer is you don’t. I am about to enter my junior year at UW-Eau Claire, and I am still adjusting my study strategies to uncover the most effective one for me. I remember entering my first year of college and being more than excited for all the different experiences I was yet to face. Little did I know that I would be in for a shock once classes started. The phrase “time management” was always mentioned to me as a useful skill to have in college, but never had I imagined what it really meant. All study and note-taking strategies I had ever known had now become foreign concepts. I am not alone: Many of my high school classmates have been dropping out or transferring to community colleges because of this slap in the face. College is hard, we all know this, but trying to transform everything you have known, academically, is unreal. 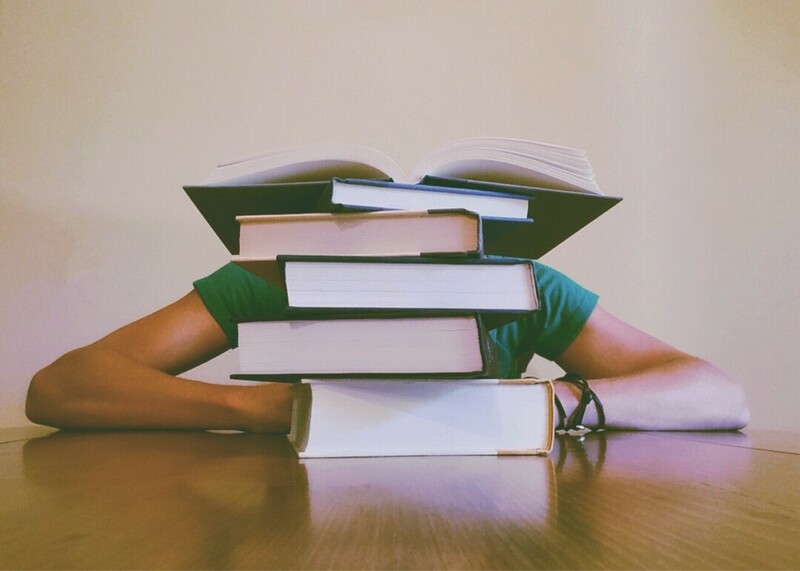 The fear of the unknown is an added stress on the life of a first-year college student – that is, not knowing how to study, how to comprehend the incredibly dense textbook language, or simply how to take meaningful notes. • Educating students how to outline what they are learning is beneficial for them in that they will understand how to organize content and their thoughts. One might do this by introducing “concept maps” or “mind maps” to students. • Learning how to manage time in order to prevent cramming information the night before an exam. • Create practice questions or note cards for use in testing one’s own knowledge. • Providing students with the skill sets needed to comprehend knowledge from a textbook is essential. To acquire this knowledge, one might hold a discussion in class to review what has just been read or allow students to partner up to review the material. Otherwise providing students with a list of questions for them to answer as they read may be another way to keep them engaged. • Aid students in learning not only how to read textbooks but also how to analyze information they read. Personally, I would begin textbook reading aloud in class and ask analytical discussion questions such as “Why do you think that happened?” or “Why do you think this is important?” As the school year goes on, you could have students write their answers to discussion questions or allow them to discuss their thoughts with their peers. • It is even more essential that these skills are established at the elementary level. That way students will have years to further develop these skills so they may be better prepared for their futures. College is a difficult time for any student. It is the point in your life where you must discover how to be independent. Besides worrying about how many changes will take place, academics are just another added stress. That moment of realization when you discover you don’t know as much as you thought you did is gut wrenching, but that isn’t necessary. We are presented with the opportunity to prevent younger generations from ever encountering these horrific feelings by teaching them how to learn. Kelly Ann Wagenbach is an incoming junior at UW-Eau Claire with a major in elementary education, a minor in language arts, and an American Sign Language certificate. This essay was originally published on the official blog of the National Council of Teachers of English.